Sports performance supplements have risen to become a 30 billion dollar annual income over the course of the past decade. With this comes many retailers looking to make a profit selling supplements online. This is the easiest way for a company to start up with little costs and overhead since they only need a warehouse to hold the product, but others even just only provide links for affiliate purchases. There’s nothing wrong with this, but with honest companies come about twice as many dishonest supplement companies. The following tips will help you find the right websites to purchase from that will keep your mind at ease. Let’s take a look these tips to ensure you not only protect your money, but also get genuine supplements. What exactly is a fake supplement? Something considered fake is obviously not the real thing but when it comes to supplements, things can be tricky. False products tend look exactly the same on the label except maybe with some minor details left out. The biggest part that makes a supplement fake is that there are often no helpful ingredients within the contents. Powdered supplements may just be powdered drink mixes placed in the tub that cost them about a dollar to make. But the price is sold for around $30-$40. That is a lot of money lost for a fake supplement. 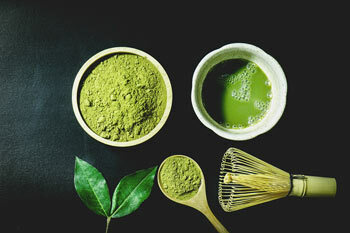 Another thing is some companies do try to sell their false products with the actual ingredients, but they place a lot of stimulants to make you hooked. This is bad for your health and could potentially be dangerous. Ebay is the most notorious for having these types of sellers, and some do exist in Amazon as well. Both websites are easy for users to setup accounts. So even if one account gets banned they just make a new one. Aside from having to worry about fake supplements, you now have to worry about receiving expired supplements as well. Most supplements are fine being used after expiration date if they have been kept in proper storage i.e. cool room and completely sealed. They just might not be as potent. However, when a company sends you an expired supplement it most likely has been sitting in a hot warehouse. This damages the supplement ingredients and can make it dangerous to consume. Plus the simple fact that you paid regular price for something expired is a bad experience as well. Lastly, you have to deal with just straight up scam products from companies that claim their products are the best. These brands usually have a lot of fitness models that don’t relate to the company, and also have odd website information trying to force you to click a button. All of these predators want your money plain and simple. The tips below are going to help you recognize them and prevent any damages before you become the next supplement scam victim. Landing page is the websites homepage or page they want you to end up on. This will be filled with information to hype the supplements up. Possibly has shirtless men and women in their underwear smiling and looking happy, but they don’t wear anything or relate to the company at all. This should send up scam flags right away. Supplement companies sponsor their athletes by giving free gear away and having them take pictures with the products. Scam companies are so greedy they won’t even give any products away for review and sponsor programs. The supplement is usually not going to do much for your performance. But will most likely put a dent in your wallet. This is another scam a lot of companies try to pull by making you think you get to try the product for free. The way it works is you give them your credit card information under the assumption you will not be charged. However, if you don’t cancel within 2-4 weeks you get charged an annual subscription. You don’t know this because it is hidden in the terms and conditions. Always make sure to check everything about a “free” supplement because a lot of times there is a catch. Supplement reviews come from all sorts of consumers giving you a great advantage to see what the consensus is for the use of a supplement. If several people claim the supplement works then it probably stands a chance for you to use it as well. However, you need to look at how authentic these supplement reviews look, and if the person who received it has been verified as a purchaser. Amazon has a big issue with supplement companies paying individuals money to give a good review. These reviews almost always look the same with bad spelling and grammar, and nothing be good things to say about a product. It’s illegal for supplement brands to pay you money in exchange for a good review, but they can send you free supplements for an honest review. Websites such as Supplement Reviews are composed of unbiased supplement reviews from real consumers. Another good website for real consumer comparison is Protein Daily. There are several other websites, but the point is choose who you believe for reviews wisely. If a website only talks about one supplement brand, then they’re most likely affiliated with them. When you go directly onto a supplement brands website, you may notice some pretty high price rates for their products. This is because they have them being sold at market price, but is not usually what the products are sold for. A simple search would show cheaper prices most likely from other retailers such as Amazon and Lockout Supplements. Always price check online. This is the whole point of not going to the store and buying products! Sounds odd, but there happens to be a lot of supplement brands that do not have any way of being reached. Sometimes you may receive the wrong products or expired supplements, but without contact info you have no way of telling them what has happened. Plus this makes the brand look a bit suspicious as well. There is no reason for not providing contact information for all the consumers buying products. All you have to do is check in the contact or about us section of a website. If there’s not at least an email to reach them then consider another product. Supplements are used just as their name implies, which is to supplement your diet and nutrition program. This aid is not something you really need, but does speed up the process of energy production and recovery. However, you only gain these benefits from quality supplements that contain ingredients that work. Other people choose to stick with only eating whole foods because some supplements possibly cause negative side effects over time. 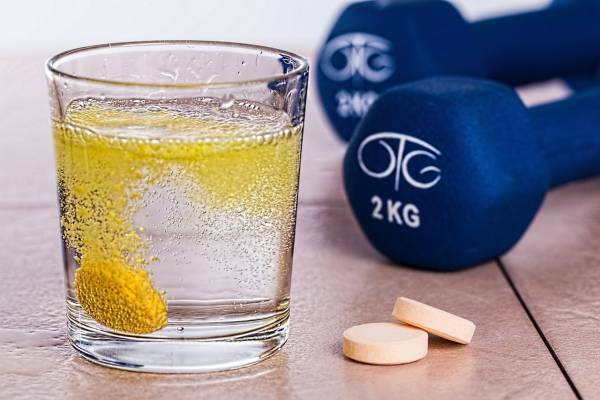 Frequent use of low quality supplements have in some cases led to kidney or liver damage, but thankfully this is not very common and does not apply to everything on the market. The bottom line is always research your supplements prior to purchasing them, and check the expiration date before consumption. Supplements can greatly help improve performance and recovery, but only when the directions are followed and executed as stated. Be safe and drink plenty of water!